In no particular order, here are the YA novels that captivated us this year. 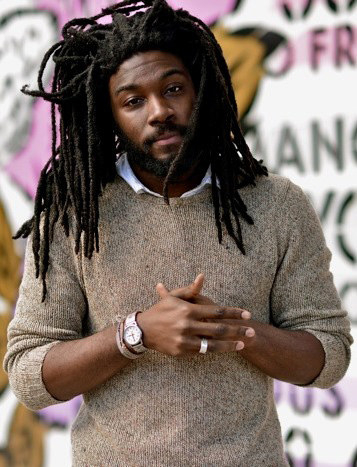 What it's about: Thomas's brilliant debut is inspired by the Black Lives Matter movement. When Starr witnesses her good friend, Khalil, being shot and killed by the police for doing nothing wrong, she has to decide if she can gain the courage to stand up for justice. Why it shines: Thomas eloquently breathes life and importance into each character while wisely addressing police brutality, Black Lives Matter, and privileged perspectives on race not just from a fictionalized point of view, but from an honest one. This story will stay with you long after you finish. Get it from Amazon for $7.86+, Barnes & Noble for $10.99+, or a local bookseller through Indiebound here. 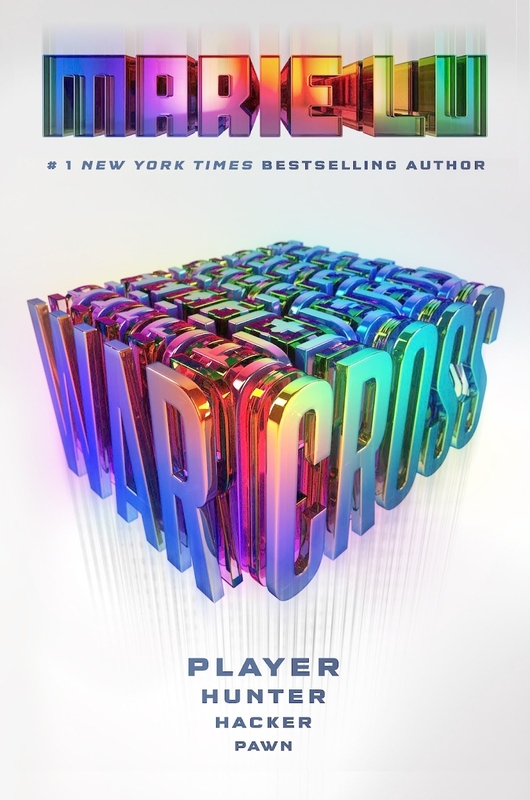 What it's about: Set in a futuristic New York where everyone worldwide plays Warcross, (an immersive, virtual reality game) Emika Chen spends her time as a bounty hunter, tracking players who bet on the game illegally for a reward. But when she hacks into the opening Warcross games, she's singled out by the creator of Warcross himself: Hideo Tanaka. He flies her to Tokyo and makes her an offer she can't refuse — a huge reward for finding the person responsible for a security glitch in the game. Why it shines: Lu's fantastic plot and pacing make this a page-flipping, immersive read that's difficult to set down, but it's Emika's strong, badass female character that feels fresh and empowering. Get it from Amazon for $7.99+, Barnes & Noble for $10.99+, or from a local bookseller through Indiebound here. What it's about: Will's older brother has been killed, but Will has grown up with rules he believes should be followed: no crying, no snitching, and revenge. 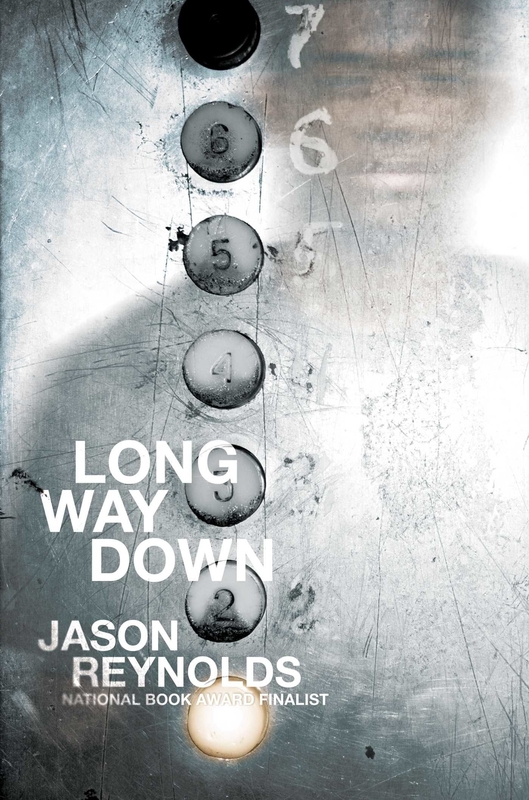 Told entirely on one elevator trip down to the lobby, where Will plans to use his brother's gun to get revenge of his killer, Will bumps into people who also get on the lift, sparking meaningful conversation in a short amount of time. Why it shines: Reynolds' powerful, punching story written solely in verse delivers a haunting take on revenge, proving once again that he can pen an impactful, gorgeously-written page-turner. Get it from Amazon for $9.89+, Barnes & Noble for $10.99+, or from a local bookseller through Indiebound here. What it's about: In this fascinating companion to The Star-Touched Queen, Gauri, princess of Bharata, is a captured prisoner by her kingdom's enemies. But Prince Vikram of her enemy kingdom makes her an offer: win back her kingdom by helping him win the Tournament of Wishes — a dangerous competition where a wish is given to the winner. Why it shines: Chokshi's lush world is gorgeously written, exceptionally intriguing, and immersive in a way that makes you want to stay in the depths of this brilliantly built world. Get it from Amazon for $9.99+, Barnes & Noble for $9.99+, or from a local bookseller through Indiebound here. What it's about: Far From The Tree is a beautiful, evocative, and equally heartbreaking and heartwarming novel about three adoptive siblings who find each other when they all need it most. 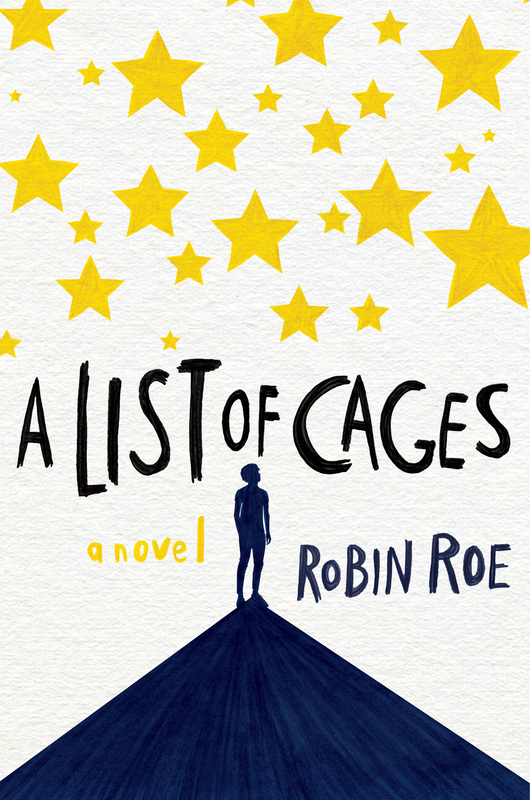 16-year-old Grace feels like nothing will replace the giant hole in her heart after she gives her own baby up for adoption, Maya is keeping her mother's dangerous secrets, and after being passed around the foster care system for most of his life, Joaquin feels like he will never truly find the meaning of family. Why it shines: Told in third person between each sibling's point of view, Benway creates a loving, realistic, and profound narrative that will leave you tingling with hope. It's a masterfully told story about family, but also love, friendship, and identity. 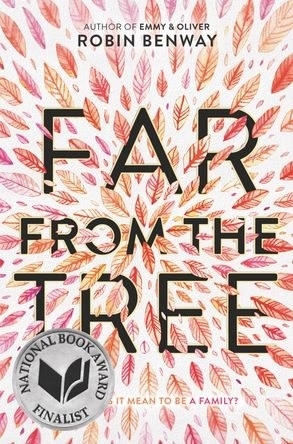 Far From The Tree also won the National Book Award. Get it from Amazon for $7.75+, Barnes & Noble for $10.99+, or from a local bookseller through Indiebound here. 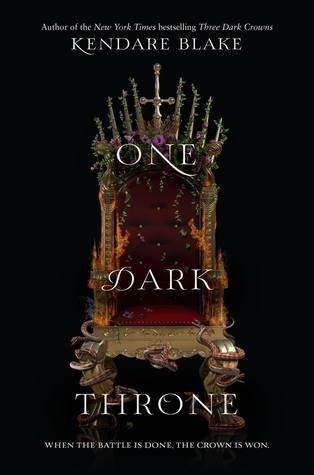 What it's about: In the second book of the Three Dark Crown series, Katharine, Arisnoe, and Mirabella attempt to put the events of the Quickening behind them. There can only be one Queen Crowned, and the only thing standing in each sister's way of obtaining it is each other. Why it shines: Blake crafts fantastic world-building and dark, captivating tension about the lengths three sisters will go for power. Get it from Amazon for $10.34+, Barnes & Noble for $10.99+, or from a local bookseller through Indiebound here. What it's about: The third installment in the Red Queen series, the book opens with the Lightning Girl, Mare, imprisoned and stripped of her powers, leaving her unable to lead the rebellion. Outside the prison, her band of newbloods continue training and preparing for war, plotting to get Mare back. 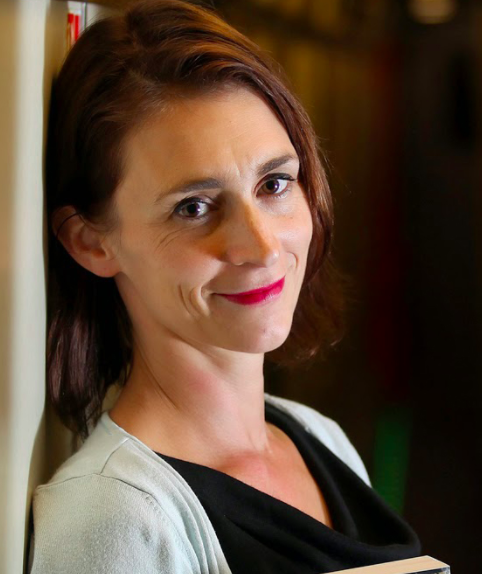 Why it shines: Aveyard uses three interwoven first-person narrations to move the story forward, with each character giving insight into the caste-driven war. Get it from Amazon for $6.57+, Barnes & Noble for $12.99+, or from a local bookseller through Indiebound here. What it's about: Dimple Shah is a passionate go-getter who wants to attend a summer program that focuses on building apps. If she wins, she'll have a chance to collaborate with her idol. Her parents have put a little too much pressure on her to get married, but Dimple has no interest — she's 18 and wants to put her education first. Then she meets Rishi Patel at her summer program and realizes that it's not coincidence that he's here. Rishi holds high respect for his Indian heritage and isn't necessarily turned off by the idea of an arranged marriage. While Dimple and Rishi don't exactly see eye to eye, they're forced to work together throughout the course of the program. Why it shines: Menon creates a thoughtful and heartfelt story that not only includes a swoony romance, but a fresh and honest look at friendship, love, privilege, and finding the ambition to go after your dreams. Get it from Amazon for $10.98+, Barnes & Noble for $11.99+, or from a local bookseller through Indiebound here. 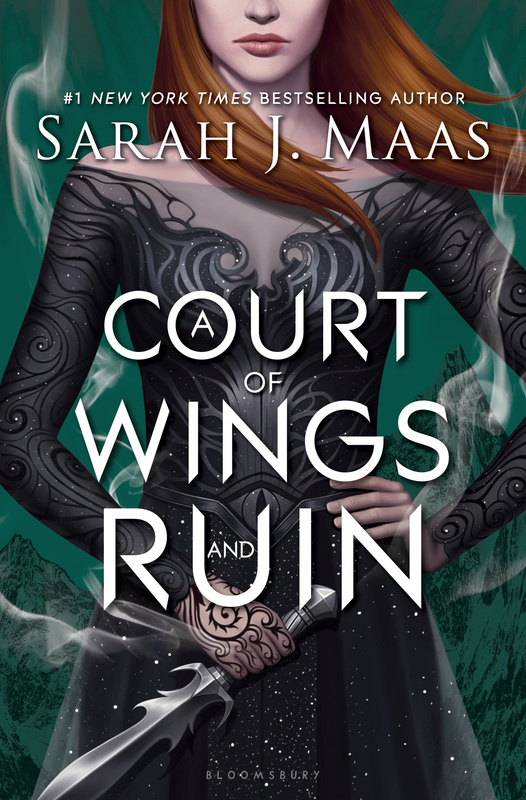 What it's about: The final book in the Court of Thorns and Roses trilogy follows Feyre, dealing with the looming war threatening her world as she knows it. She returns to the Spring Court, intent on making allies and doing all that she can to stave off the invading King. Feyre spins a web of deceit to gather information on the enemy, but it's hard to know who to trust, and one wrong turn could spell the end. Why it shines: The plot of this 700-page book goes deep, to the point where the reader is truly immersed in Feyre's world. 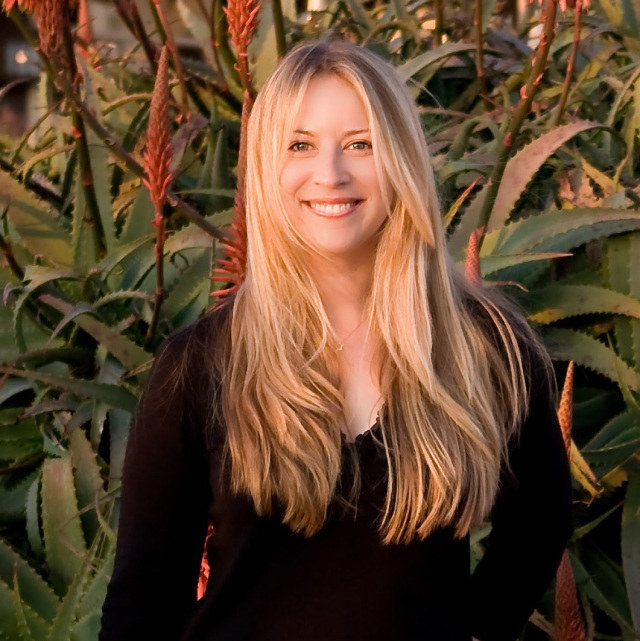 The flawed main characters are complex and interesting, with rewarding character development for readers who started the series at the beginning. Get it from Amazon for $7.55+, Barnes & Noble for $7.92+, or from a local bookseller through Indiebound here. What it's about: En route to her arranged marriage that will help her family, Mariko's carriage is ambushed by a group that calls itself the Black Clan. 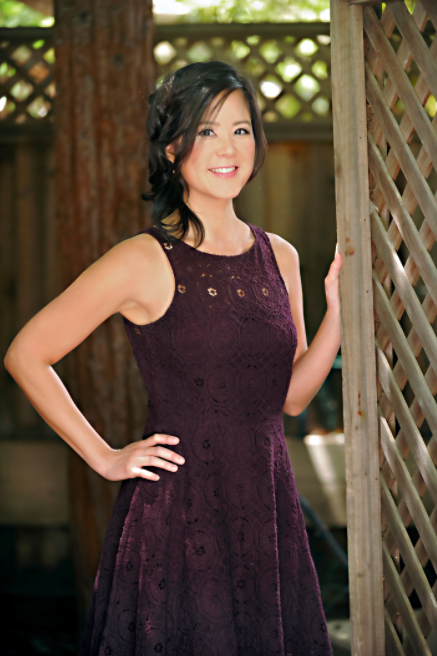 After the attack, everyone — including Mariko's family — believes her to be dead, but she survives. She then seeks revenge by dressing as a boy and attempting to join the Black Clan. Analytically minded, Mariko wants to unearth the motives behind the group's ambush. She becomes drawn to one member in particular, Okami, and begins to discover that the Black Clan is much different than she expected. Why it shines: Filled with strong female characters, action and adventure, and beautiful storytelling, Flame in the Mist offers a world you'll want to escape into for a long while. Get it from Amazon for $10.99+, Barnes & Noble for $10.99+, or from a local bookseller through Indiebound here. What it's about: Death-Cast is a system used to warn people 24 hours in advance of their End Day (the day they die). Mateo Torrez and Rufus Emeterio both receive a call on the same day and through a series of events, wind up meeting each other using an app called the Last Friend, which pairs people up so they can find company on their final day. Told through both boys' points of view with third person narrations sprinkled throughout, we gain insight into Mateo and Rufus's mortality. Why it shines: Silvera not only poignantly captures the raw emotion of facing your own morality, but effortlessly creates relatable and authentic characters. His gorgeous writing and wonderful storytelling will wreck you in the very best possible way. What it's about: Jus begins writing letters to Martin Luther King Jr. after a scary, discriminatory incident with the police. He's a smart kid who attends a mostly white prep school and has dreams of attending an Ivy League university. Yet, he begins to wonder if the world truly does see him as good because of the color of his skin. After the incident, Jus begins reflecting upon the daily microaggressions he experiences, especially those that come from a certain group of classmates. Why it shines: Stone pens a sincere, truthful novel that deep dives into the reality of injustice, prejudices, privilege, and racism in today's society. 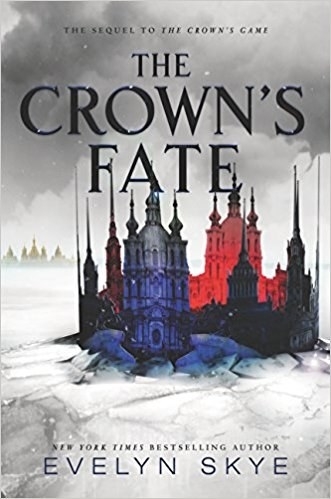 What it's about: The second installment in the Crown's Game series set in imperial Russia, this novel is a magical love story with a dark twist. With a revolution looming on the horizon, Pasha, Vika, and Nikolai must adjust to their lives after the fallout of the Crown's Game. It's a dangerous time in Russia, and all three will learn how far they'll go to protect themselves and their world. Why it shines: If you liked the first book, you'll love this one. It's got the characters you know and love, dark and impressive magic, and the rich world of imperial Russia. What it's about: Fabiola travels from Haiti to live in Detroit with her aunt and cousins. However, trouble arises when her mother is detained in New Jersey. Fabiola will do anything to help her mother, including using a bit of manipulation to get what she wants. Why it shines: Zoboi writes a stunning story about the immigration experience, family, and love that's raw, emotional, and remarkably honest. What it's about: Scarlett has always been captivated by Caraval, a yearly magical traveling performance where attendees can choose to observe or attend as players in the game. When Scarlett and her sister have the opportunity to attend, she's thrilled. But when she realizes her sister, Tella, has been kidnapped as part of the game, she must keep a clear mind between magic and reality to find her before any of the other contestants — and before the five nights of the game are up. Why it shines: Garber creates a dreamy, dark, and mystical world in this spellbinding debut. Get it from Amazon for $9.11+, Barnes & Noble for $9.99+, or from a local bookseller through Indiebound here. What it's about: Lara Jean thinks she has it all planned. She's expecting to have a drama-free senior year. She's also expecting get into UVA — her dream school and also the school her serious boyfriend, Peter, is attending. It'll be close to home, and it's familiar. But when things don't exactly go as planned, Lara realizes she's going to have to start accepting that change is inevitable and that, sometimes, the path you think you need to be on isn't the one that's best for you. Why it shines: In this tender, heartfelt, and swoony conclusion to the Lara Jean series, Han captures the anxiety, fun, and uncertainty of growing up and moving forward after high school. Get it from Amazon for $9.66+, Barnes & Noble for $9.68+, or from a local bookseller through Indiebound here. What it's about: In a story set in 18th-century Europe, overconfident Monty, his best friend Percy — whom he has strong feelings for — and Monty's younger sister, Felicity, are attending a grand tour of Europe when Monty's scoundrel ways get the three of them into trouble. Monty has stolen something of great significance. Because of this, the trio happens upon an adventure of a lifetime. Why it shines: Lee pens a page-turning novel that contains a race-against-the-clock plot, but it's her incredibly fun and personable characters you'll want to follow to the very end. Get it from Amazon for $6.77+, Barnes & Noble for $6.83+, or from a local bookseller through Indiebound here. What it's about: 17-year-old Molly is dealing with several insecurities: Worrying about her weight, worrying about boys, and worrying about her drifting relationship with her twin sister. When her twin tries to push a new guy on Molly, she's all for it — until she begins to get to know her co-worker, Reid. Why it shines: Albertalli's flawless knack for dialogue and talent for capturing the real, raw emotion of her characters make this book a spectacularly enjoyable read. What it's about: Sixteen-year-old Sana has just moved from Wisconsin to California with her family, and has a lot to deal with. First of all, she's keeping the secret that her dad's having an affair. 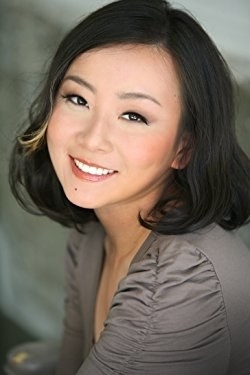 Plus, she has to navigate racial stereotypes as a Korean-American and also face up to the fact that her feelings for another girl might be more than just a girl-crush. Her secret begins to pile up and everything suddenly feels like it's falling apart. Why it shines: More than just a love story between two girls, Sugiura has woven a story addressing complex issues of race, sexuality, and intersection of the two. The racism shown coming from one POC to another is rare in a YA book and makes it a very three-dimensional story. What it's about: Set in Eulogy, a southern Mississippi town, Ramona "Blue" Leroux carries the weight of everyone else's stress on her shoulders. She's close with her older sister, who's been knocked up by a guy who's not very responsible. Ramona feels the pressure to help be the breadwinner with her sister's baby on the way, but she's also struggling from her recent breakup with Grace. Then Freddie, a childhood friend, returns for their senior year. 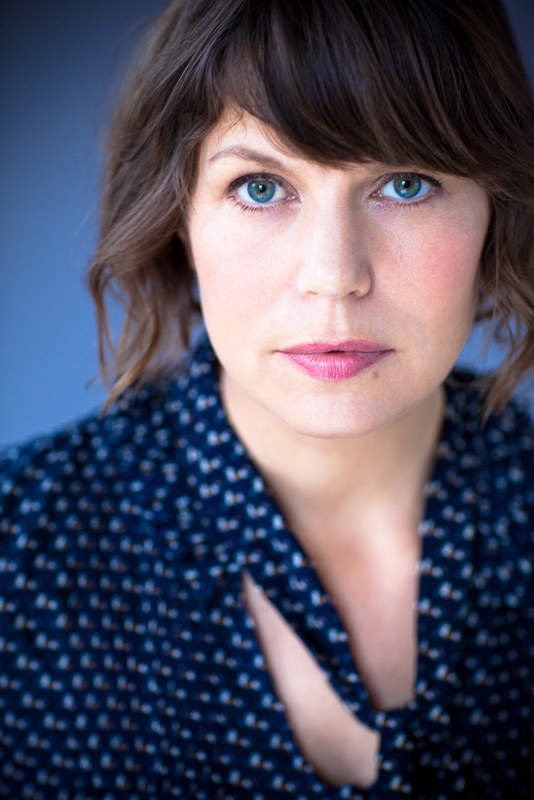 Ramona and Freddie both feel a quiet, growing attraction to each other, which leaves Ramona questioning her sexual identity. Why it shines: Murphy does a phenomenal job creating a gorgeously told coming-of-age story that features a strong sisterly bond, the importance of family, and figuring out how you fit in the world. What it's about: This coming-of-age story follows Sal and his two best friends, Samantha and Fito, through their senior year. Sal is adopted, and the only father he's ever known is his gay, nonbiological father who's shown him nothing but love and kindness. Why it shines: Sáenz crafts a memorable story from Sal's point of view as he navigates friendships, loss, identity, and love in different forms. Get it from Amazon for $7.62+, Barnes & Noble for $9.99+, or from a local bookseller through Indiebound here. What it's about: Tash has a very special place in her heart for Leo Tolstoy. She loves his writing so much that she's created a YouTube web series based on Anna Karenina – a modern adaptation called Unhappy Families. 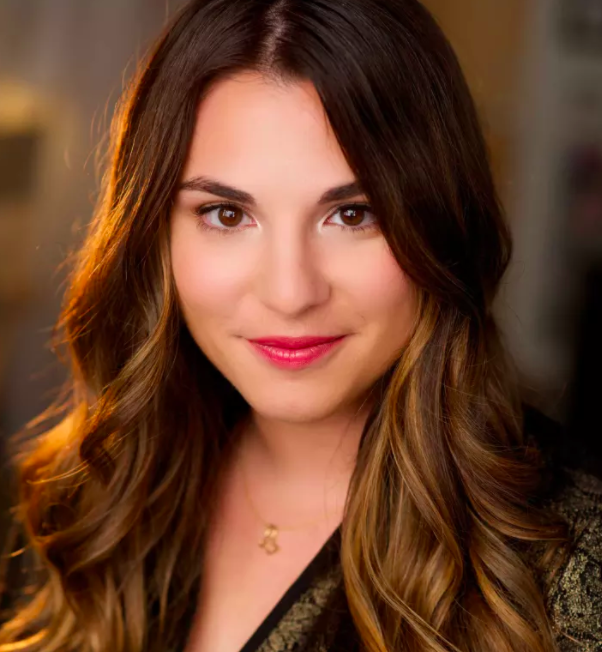 When her series gains overnight fame, she has to keep up with all her new followers and the pressure of creating weekly episodes and keeping the show's viral status. When Unhappy Families is nominated for a Golden Tuba, Tash's flirty online rapport with fellow nominee Thom grows into a potential IRL relationship. But Tash is a romantic asexual and she has to figure out how to come out as something most people have never heard of. Why it shines: Tash's sexuality isn't a main plotline of the book which is a refreshing change, especially for such a marginalised identity. The characters are fleshed-out, relatable teenagers and there are plenty of nods to Tolstoy's literature for fans to pick up on. What it's about: Suzette (aka Little) has just returned home to Los Angeles from her boarding school in New England to help support her family, most especially her brother, Lionel, who has been diagnosed with bipolar disorder. But as Little eases back into her old life, she finds herself falling for the one girl her brother happens to be in love with. Why it shines: Colbert writes genuinely about sexual identity, race, and mental illness in a raw, honest way in this gorgeous and emotional coming-of-age story. Get it from Amazon for $7+, Barnes & Noble for $7.07+, or from a local bookseller through Indiebound here. What it's about: Five high school students walk into detention one afternoon, but only four leave alive. Simon, the creator of a Gossip Girl-style app which has made him numerous enemies, dies in that classroom and investigators are sure it wasn't an accident. 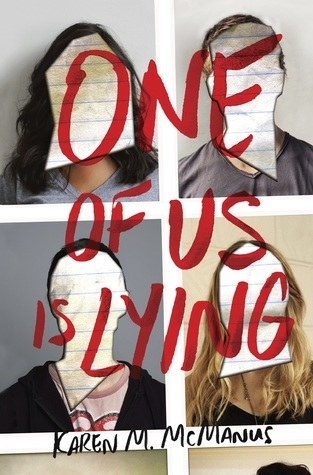 The four remaining students have to fight to clear their own name, though can't be sure if they can really trust the others. Did one of them kill Simon, or are they all pawns in a giant cover-up? Why it shines: McManus has created an unpredictable journey which will have you suspecting everyone. It's one of those books you just want to binge-read, thanks to the easy dialogue and complex characters. Get it from Amazon for $13.11+, Barnes & Noble for $10.99+, or from a local bookseller through Indiebound here. What it's about: When Adam is reunited with Julian, the estranged foster brother he hasn't seen in five years, it seems like a chance to rekindle a friendship with a boy who hasn't changed much at all. But as they spend more time together, and Adam realises Julian is a totally different person, secrets are uncovered and faults appear in their relationship. 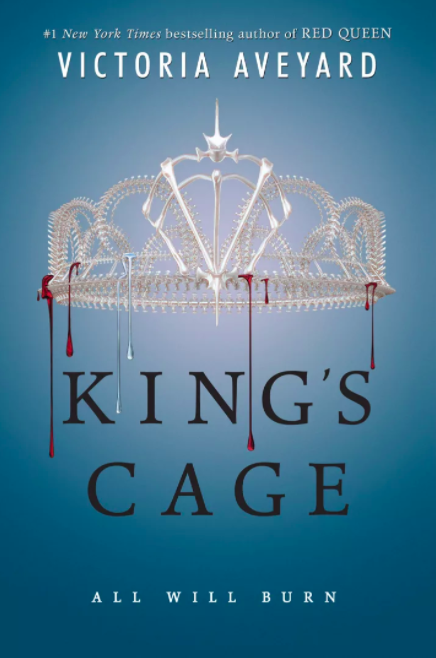 Why it shines: Roe has crafted an emotional rollercoaster, as well as two characters that readers won't be able to get out of their heads, even long after they've finished the book. Get it from Amazon for $7.40+, Barnes & Noble for $7.45+, or from a local bookseller through Indiebound here. What it's about: Tina's mother begins work as a maid in their new country of Kenya, after fleeing the Congo as refugees. But Tina quickly figures out her mum's new boss is a corrupt crime boss, and when she's found shot dead Tina knows exactly who's behind it. Tina spends the next four years on the streets, working in a gang, and thinking of nothing but exacting revenge on her mother's killer. But when the opportunity finally arises, it turns out there was a lot more to the story than she first thought. Why it shines: This fast-paced thriller is a genuine representation of the human rights violations and struggles that refugees, particularly women, face in war-torn countries. Using Swahili and French slang, Anderson uses language to weave a colourful world that draws you in. Get it from Amazon for $6.92+, Barnes & Noble for $7+, or from a local bookseller through Indiebound here. 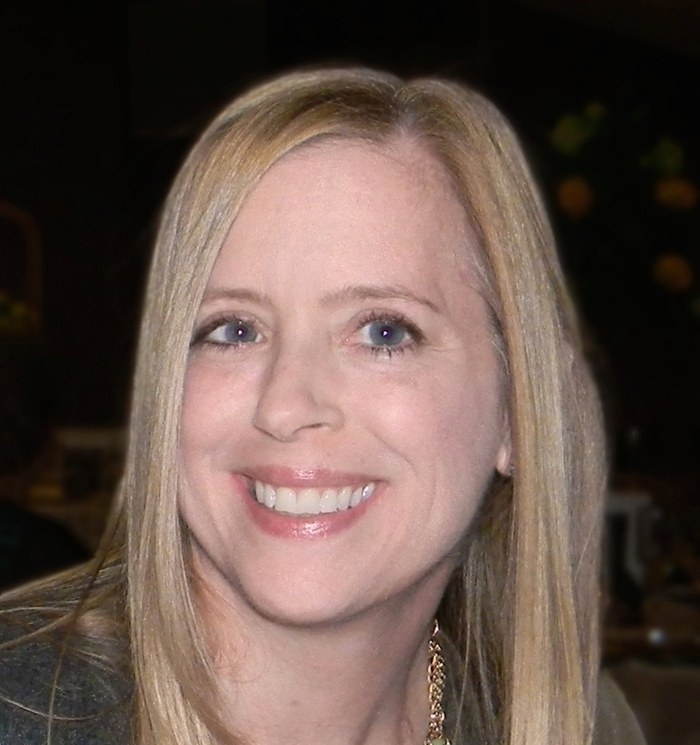 What it's about: Since having a tumor removed when she was 10 years old, Flora Banks has never been able to make new short-term memories. 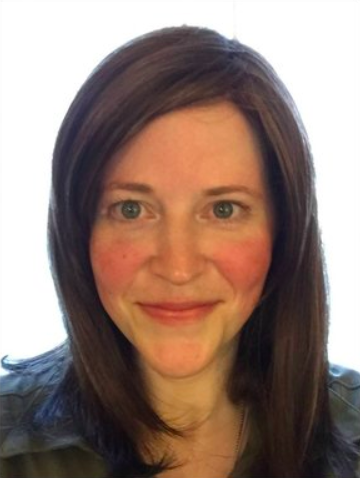 A few times a day her mind completely resets to a blank slate — until she shares a kiss with Drake, her best friend's boyfriend. 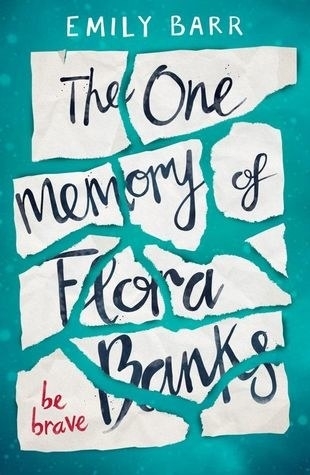 For some reason, this one memory sticks in her mind and Flora becomes convinced that Drake is the key to curing her. Armed with her "be brave" tattoo and some written notes reminding her of who she is, Flora follows him to Norway, the land of the midnight sun. But nothing is how she expected, and she must learn to be brave and fight for herself. 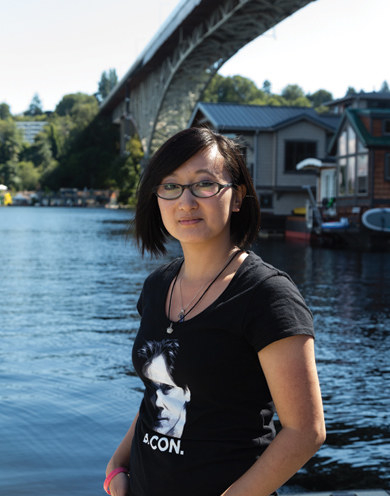 Why it shines: The first person narrative introduces us to a unique character living a life we don't often see represented in YA literature. Get it from Amazon for $10.99+, Barnes & Noble for $6.92+, or from a local bookseller through Indiebound here. 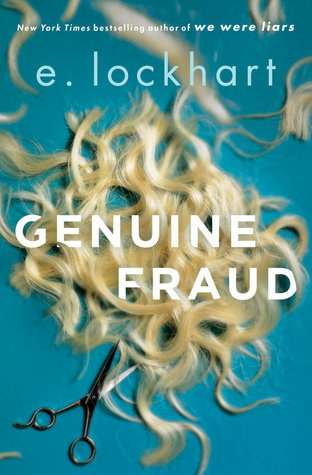 What it's about: Jule is a mysterious and slightly suspicious character, on the run with stacks of bills, some wigs, and a number of stolen credit cards. 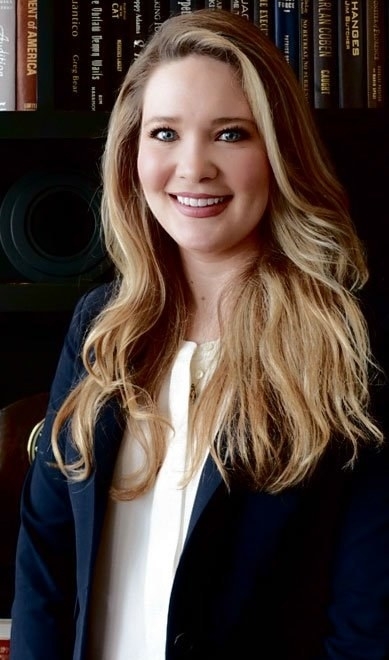 Her British accent is fake, and she introduces herself differently to every person she meets. Told in reverse, the book slowly uncovers details about Jule's ex-friend Imogen, the spoilt rich girl who befriends her then disappears. Why it shines: Lockhart's fast-paced storytelling conveys a sense of nervous energy which, coupled with the storyline, makes this an unsettling but thoroughly satisfying read. Get it from Amazon for $1.99+, Barnes & Noble for $1.99+, or from a local bookseller through Indiebound here. Which should you read first? Take our quiz to find out!